Say Yes to C#! | SoloLearn: Learn to code for FREE! The most eagerly awaited course within SoloLearn community, C# is arguably one of the most valuable programming languages you can learn. Its popularity is higher than ever, having grown 22 percent in 2015. C# is simple. If you know C, C++, or Java, learning C# should be a snap. Sure, it takes time to learn and master any programming language, but the C# learning curve was designed to be short for those already versed in programming languages. Syntactically, C# is very similar to Java. To build apps for the Microsoft platform, it's only logical to learn C#. It was developed by Microsoft for use in building apps on the Microsoft platform, so it's highly likely that Microsoft will make it a point to keep C# relevant and up to date. The NET Framework powers 16 percent of the top 100 million sites on the Web. And many of them may be using C#, so there are some opportunities in enterprise-level backend development. C# is often the recommended language to use when using the Unity game engine to create games. Virtual Reality will likely continue to be a big thing, and independent game development will continue to grow in popularity. Since Unity is a major player in VR/game development, C# has a pretty optimistic future. 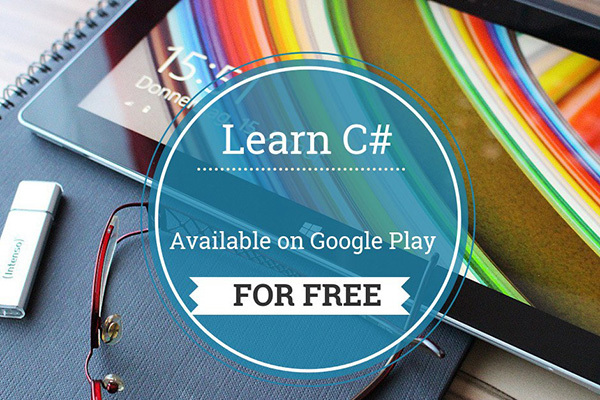 C# is the most eagerly awaited course throughout the SoloLearn community. Community is important, because the larger a programming language community is, the more support you're likely to get. As you step into the programming world, you'll soon understand how vital support is, as the coding community is all about giving and receiving help. C# is what a modern Object-Oriented Language should be. Even if you don't make a career of it, having it in your repertoire expands your knowledge base. You'll be adding a great language capable of doing wonderful things. Jump in! Have fun! And send your friends over to learn C# the SoloLearn way!